Discover the key concepts of growing, harvesting, preserving, and cooking Shiitake and Oyster Mushrooms, as well as using them for medicine. For eighteen years, Quiet Creek Herb Farm & School of Country Living has been offering workshops on sustainable living – mushrooms are an exciting part of our mission. Over the seminar, you will enjoy a unique immersion experience as you absorb all the beauty and knowledge that Quiet Creek has to offer. Quiet Creek is an alcohol and smoke free environment with lodging that is rustic and primitive; accommodations on the farm will be based upon registration numbers and may include a yurt, a renovated barn, and/or tents. Delicious, locally and sustainably-raised meals will be provided throughout the three days, and food preferences will be honored. All energy needed for the seminar will be produced on site with the solar array and wind turbine, and all waste produced on site will be composted! 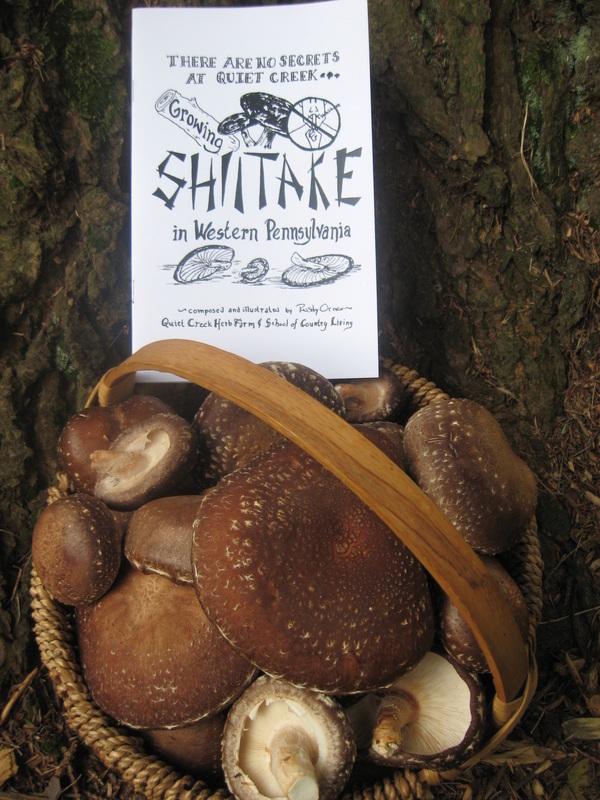 Cost: $300 which includes two relaxing days and one night with practical experience and knowledge to put Shiitake and Oyster mushrooming at your location, take home goodies, whole food meals, and creative lodging. Please note that we will offer PASA members a $20 discount on registration. Attention: This workshop is limited to 20 students, so sign up early.